I have some confessing to do here folks. Until recently i wasn’t sure who Francis Dunnery actually was. I had it in my head that he was a folky like Richard Thompson or the likes. Until that is that one of my musical colleagues who was insistent on me checking him out briefed me fully on Mr Dunnery’s history and genius. I was of course a little sceptical having been informed that he was one of the original members of 80’s band It Bites. I say sceptical because i couldn’t remember why it was that It Bites passed me by the first time around for reasons until lately i couldn’t remember and the fact that i travelled to the deepest recesses of darkest Yorkshire with a fan of theirs a few years back to watch the latest incarnation of the band and for some reason they didn’t play! Then i was reminded by a visiting friend that i had given him my copy of the bands first album dismissing it as pop disguised as Prog with over produced glaring keyboards. oh err. Francis Dunnery of course to the better informed than myself was the founder / guitarist / and singer with It Bites until he decided to go his own way following a more wholesome and less pop /Prog driven path. My subsequent internet research was indeed informing and demonstrated a rich heritage of musical depth and breadth for which i have to doth my cap. I found it surprising then that Francis Dunnery would revisit the 80’s compositions of his former band and re-record them in the form of his new album Vampires, the title and title track of which was taken from the It Bites 1990 single Still Too Young To Remember it being as it was a B side. To find out cost me dearly as i ended up procuring the three original It Bites studio albums The Big Lad In The Windmill, Once Around The World and Eat Me In St Louis just so i could hear what Frank had done with the songs cherry picked from them. A couple of things struck me first of all before even listening to the whole album, one was that listening to Francis Dunnery on his radio programme one Sunday (check out Progzilla radio on the net) we have very similar musical tastes and interests, the other that he seems to have addressed the sonics of the original production values used throughout the original songs. Gone are the glaring and glassy keyboard sounds courtesy of the Yamaha Corporation via their fave synth of the time the DX7 and the tweeter taxing cymbals which in parts could only be heard by certain breeds of canine species. This has been an adventure for me as i now find myself discovering It Bites for the first time properly since i dismissed them thirty years on. How apt then that Mr Dunnery has chosen to begin with the very first song from the band’s debut album I Got You Eating Out Of My Hand. This proved to be a much more acceptable version than it’s 1986 counterpart. It was as if the foot had been taken off the accelerator allowing the listener to hear the substance of the music. Most notable was the more timbrel sounding keyboard pads and patches which are richer in texture and give the overall sound of the songs a much more rounded and robust sound. This can be said of all the songs throughout Vampires. Feels Like Summertime finds Francis Dunnery in reflective mood and singing a rather fine love song. This song really is a breath of fresh air and Frank’s slide guitar giving Chris Rea a run for his money. The band assembled here are second to none and given my penchant for West coast music i found myself hooked. Jamie Bishop’s bass is sumptuous even more evident on the following diamond The Ice Melts Into Water. Francis Dunnery’s voice in itself is much easier to hear without so many effects or echo placed upon it. It was here i first appreciated fully just how amazing Dunney’s guitar playing is. I would place him alongside guitarists like Larry Carlton, Lee Ritenour and Steve Lukather. I enjoyed the vocal inflections throughout the 2016 flavoured songs rather than the originals too. 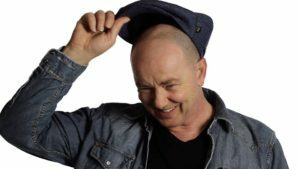 Francis Dunnery seems to have grown into his skin and it is easier to enjoy the space injected into these It Bites classics. There was a John Martin moment here and it definitely made me smile. Taken from the album Eat Me In St Louis, Underneath Your Pillow has a slightly harder edge as was the whole album. this was beautifully underpinned by Mike Cassedy’s steely organ sound. This spilled out into the next standard Old Man And The Angel. Frank’s guitar playing is nothing short of blistering. A big up too to drummer Tony Beard (ex Go West) who like Jamie Bishop’s bass playing are as solid as a rock at all times. One again the slowing of this track allows Francis Dunnery to place a little melancholy into his voice and his guitar simply whisk you away. This really is a variety pack of a tune showcasing the bands adeptness,skill and all out talent. Mike Cassedy’s synth break here is wonderful. However, it was only a warm up when you witness the solo he performs in the next barn stormer Screaming On The Beaches which embedded itself nicely into my brain from the first play. Pace, content, and enjoyment factor off the scale.Listening to the original had me turning down the volume and wanting to listen to it from further away, Bob Dalton’s drums tearing right through my tolerance. A sound very much of it’s time methinks. The title song of the album Vampires is probably the song i like the least oddly enough, though i do think it would be a great theme song for a Vampire TV programme or movie. Tony Beard’s drums are the most pleasing thing about the song though i couldn’t help thinking how Steve Hackett it sounded/ Think Wolflight. Not to be deprived of an opus the 14 minutes + Once Around The World from the album of the same name is given a new lick of paint. And listening to the original had me thinking how it much suited it’s new sheen rather than the gloss of the original. i did have a problem with this song as at first it seemed too Prog even for me and took several listens until it was fully absorbed. One minor observation here was that i wish Frank had employed a trumpet player for the middle section rather than reproducing it with a keyboard effect. Powerful though from start to finish. Justice was done to Rose Marie though. A new gravitas given to it with lots of (no pun intended) bite and drive. As was Yellow Christian made much easier on the ear by much softer and full sounding keyboard sounds. Of course the song that most people would know It Bites for is there hit single Calling All The Heroes and once again Francis Dunnery has done a cracking job of revamping this up beat chant allowing listeners once again to hear the lyrics much more clearly. Thoroughly invigorating. Bringing down the pace a little is the rather beautiful Never Go To Heaven. With the Carpet Crawler (Genesis) like opening this song has a Brian Wilson feel about it and i could almost imagine him singing it. Yet again Dunnery demonstrating his guitar wizardry and singing. Continuing this demonstration i found the hais standing up on the back of my neck during Still Too Young To Remember which i remember hearing on the radio for some reason. The pace didn’t slow for the closure of the album with Midnight which opened the Once Around The World album. This is a real rocker and like many of the songs gathered here a statement to just how good the original compositions are. Of the It Bites songs Francis Dunnery chose here for a make over it has to be said he has done an amazing job . Vampires as an album is carefully thought about and beautifully put together employing some fabulous talent such as Eric Miranda, Brett Kull of Echolyn as well as those mentioned above. I was also quite taken with the superb art work by Mark Elvin using different colours of Franks’ eyes depending on which format was being represented. Nice touch. Which ever format you buy an instant download of the album is made available to you until your purchase arrives. Again, another fine touch. I have ordered the vinyl version which won’t make it to me until the end of June so it’s nice to be able to play the album via the downloadable Mp3’s. I can’t help thinking if the original album i had sounded anything like this i might not have hastily given it away in a fit of pique. Though to quote Austin Powers “in the 80’s there was a flock of Seagulls and that was it”. all though in fairness there were some notable and amazing exceptions. Vampires is a fine body of work, a masterpiece upstaging the original materiel. The boy from Egromont did good!